Jean Atkin works as a poet, writer and educator. She lived on a Dumfriesshire smallholding for twelve years, and is now settled in Shropshire. 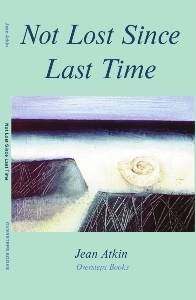 She is a past winner of the Torbay Prize, the Ravenglass Poetry Prize, the Ways With Words Prize at Dartington Hall and others. Her first collection Not Lost Since Last Time, was published by Oversteps Books in 2013. Her website is here. She has just installed four garden hens in Ludlow to enjoy their company. And their eggs. Pamela Grace is an artist and printmaker living and working in Galloway. She trained as a designer at the Scottish College of Textiles in Galashiels. Her work reveals hidden micro-landscapes, glimpses of corners of gardens, allotments, and forgotten henhouses. Her work has been selected regularly for the prestigious Spring Fling open artists studios event in Dumfries and Galloway, and she has exhibited widely in Scotland and the UK. 3. full stop after ‘exposed hillside’. I added the full stop. I am not a fan of them in my own writing at the end of the paragraph. No criticism, this was lazy of me, and born of habit. I just feel that a paragraph ending signifies that a full stop is implicit, but with someone else’s writing then this was sloppy of me.